The privilege against self-incrimination is often represented in the case law of England and Wales as a principle of fundamental importance in the law of criminal procedure and evidence. A logical implication of recognising a privilege against self-incrimination should be that a person is not compellable, on pain of a criminal sanction, to provide information that could reasonably lead to, or increase the likelihood of, her or his prosecution for a criminal offence. Yet there are statutory provisions in England and Wales making it a criminal offence not to provide particular information that, if provided, could be used in a subsequent prosecution of the person providing it. 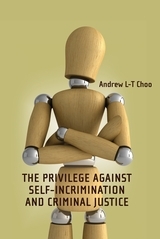 This book examines the operation of the privilege against self-incrimination in criminal proceedings in England and Wales, paying particular attention to the influence of the European Convention on Human Rights and the Human Rights Act 1998. Among the questions addressed are how the privilege might be justified, and whether its scope is clarified sufficiently in the relevant case law (does the privilege apply, for example, to pre-existing material?). Consideration is given where appropriate to the treatment of aspects of the privilege in Australia, Canada, India, New Zealand, the USA and elsewhere. 4.2 Is There a Principle of 'Derivative-Use Immunity'? 4.3 Is the Information 'Compelled Information'? 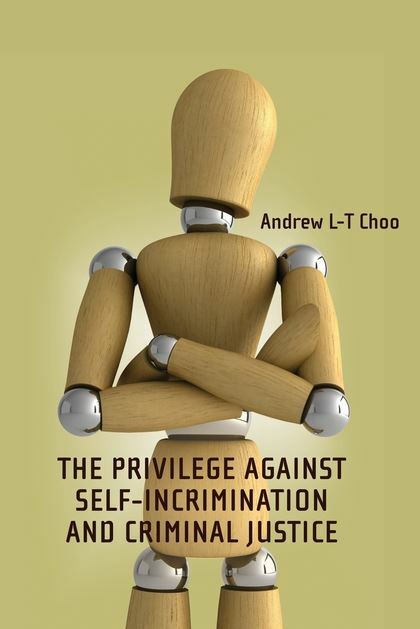 Andrew Choo is a Professor of Law at City University London and a barrister at Matrix Chambers.